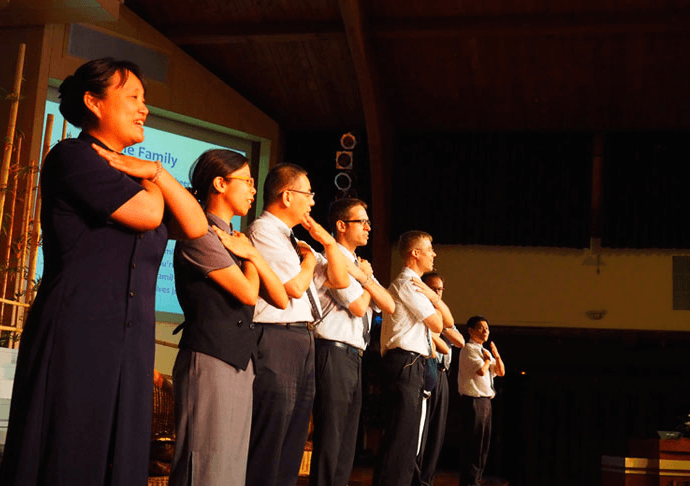 The 2015 Tzu Chi USA English Spiritual Resource Retreat took place on the weekend of July 17th-19th. 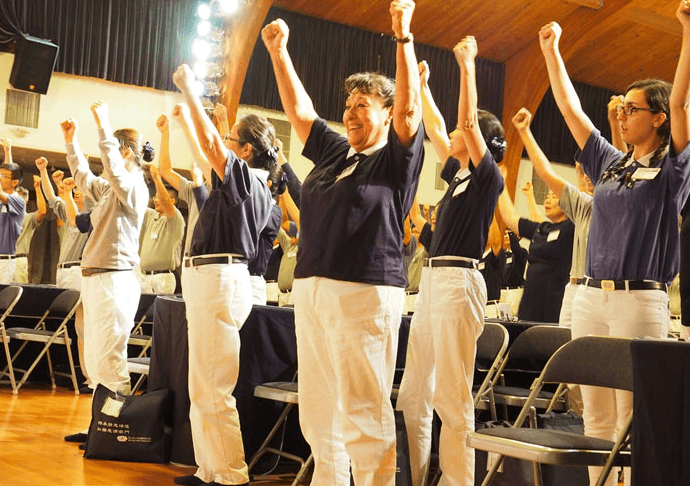 125 volunteers from all over the country gathered at Tzu Chi USA’s headquarters in San Dimas, California, for the 3-day retreat. 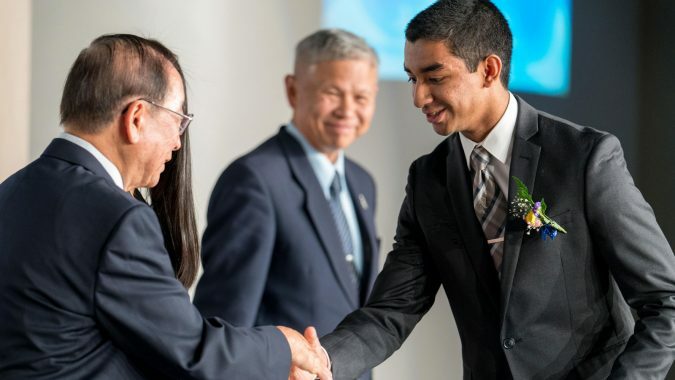 Activities were designed around the theme of “Back to the Roots – Sincerity and Love,” providing participants with a deeper understanding of the spirit and teachings underpinning Tzu Chi’s work. 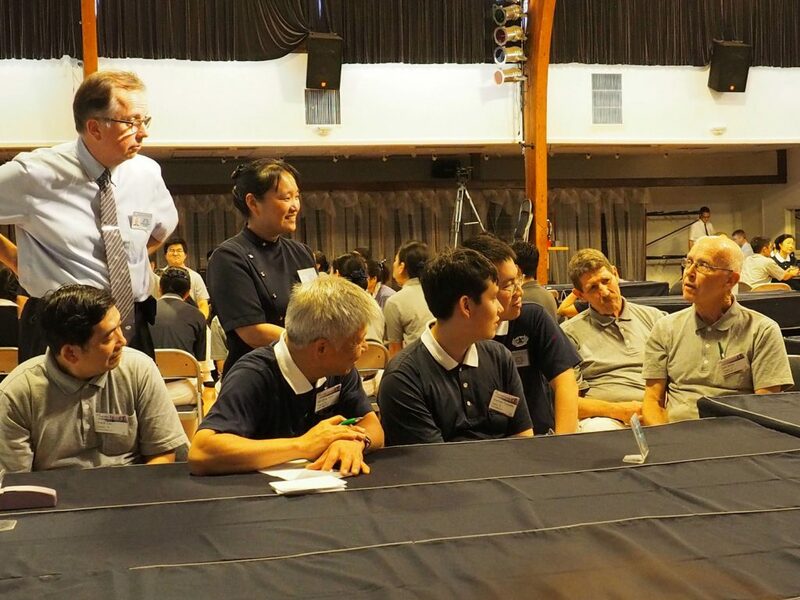 This 2nd annual English Spiritual Resource Retreat started out with an in-person sharing by some of the volunteers who founded Tzu Chi USA. 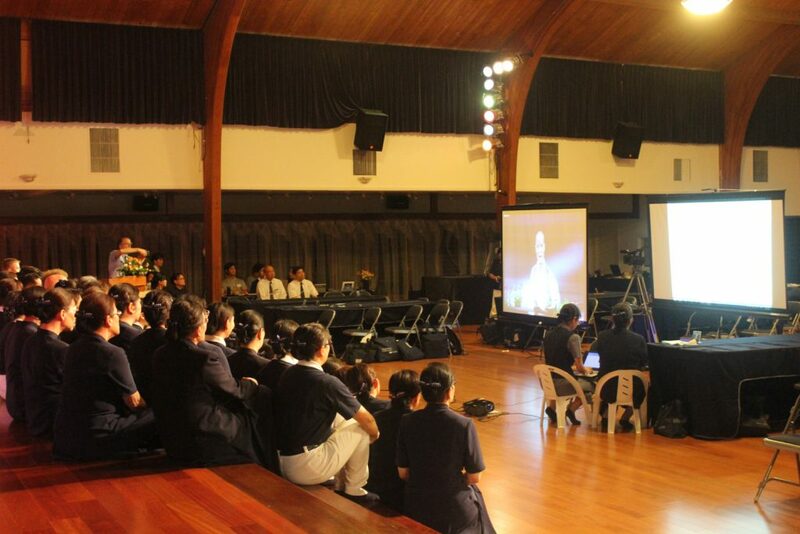 It continued with interactive exercises where the participants got the opportunity to deeply experience Tzu Chi’s spirit of “Gratitude, Respect and Love.” A high point in the program was a video link meeting with Tzu Chi’s founder, Master Cheng Yen herself, in Hualien, Taiwan. 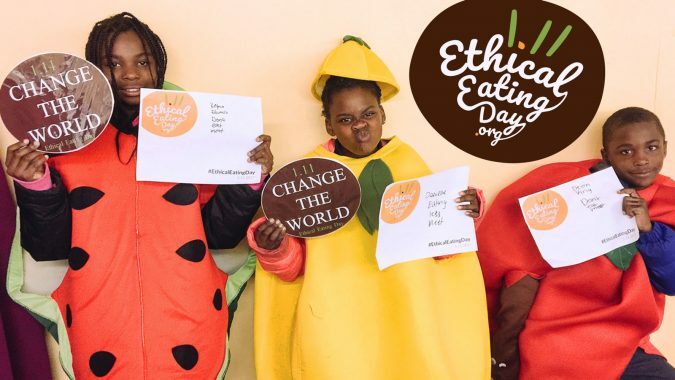 Thanks to the hard work of local volunteers, totaling more than 450 shifts for the 3-day retreat, participants truly felt like they were returning home. As the lyrics in the theme song for the retreat, “One Family,” express: Even though we might come from different backgrounds, with different religions, languages and culture, we are all one big family! 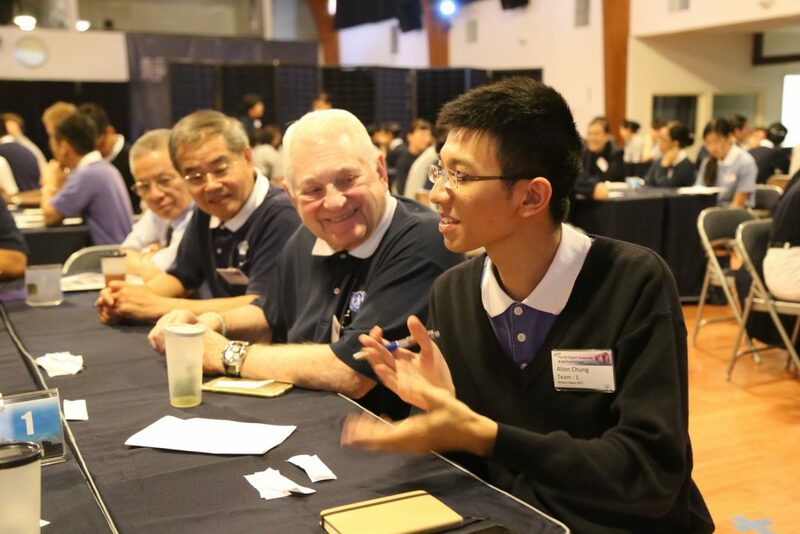 We were all taken on an amazing journey, tracing back not only to the Jing Si Dharma Lineage, but also to the core spirit of Tzu Chi volunteers- sincerity and love. With this retreat being the first Tzu Chi event I’ve participated in since the end of the school year, it was a refreshing and reenergizing experience. Watching all the English-speaking volunteers interact with each other at the retreat and reach out to their local communities was incredibly inspiring. 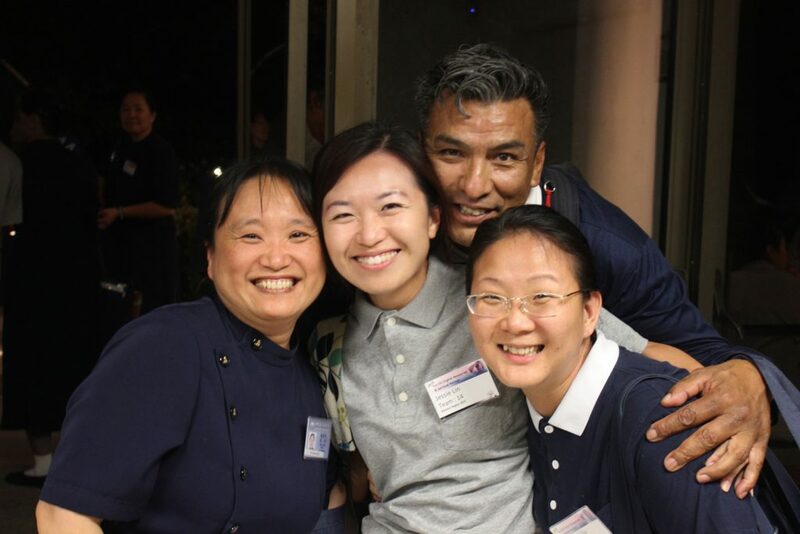 You can just see the joy, the gratefulness, and the excitement in their eyes, eager to become more connected with Master Cheng Yen through her teachings and to share their personal experiences and love with more people in the world. 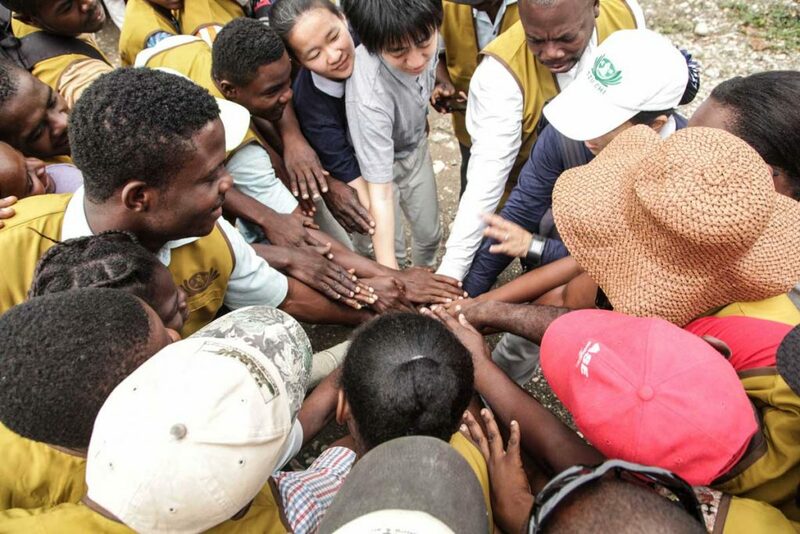 It puts back into perspective the reasons why I joined and continued on in Tzu Chi- “because we are one family.” We are a family not just with all the Tzu Chi volunteers in the world, but with all people, and all the sentient beings in the world. That is the reason why we are here in Tzu Chi. That is the reason why I am in Tzu Chi. My most heartfelt memory from this retreat was being able to meet Master Cheng Yen online. 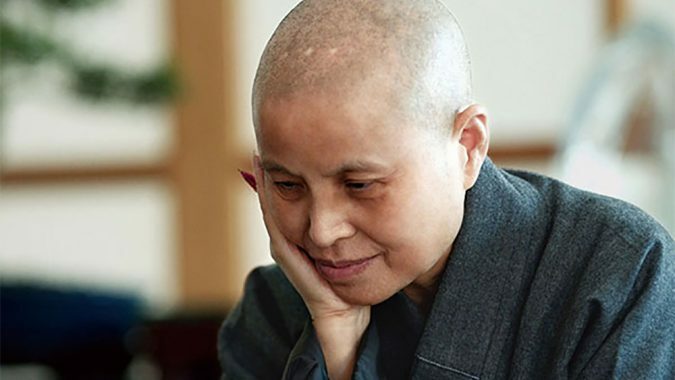 Her smile, her voice, her teaching, and her concern about what we are doing here really inspired me to keep walking and to follow Master Cheng Yen on the Buddhist path. I am so grateful to be able to join Tzu Chi family and listen to Tzu Chi Brother and Sister’s work from different regions. I wanted so much to attend the first English Volunteer Retreat but was advised by my Doctor not to drive my car except for short commutes. I had mixed feelings of regret at the time since I wanted to use that opportunity to strengthen my vows and learn from other volunteers. But I finally made the trip. Through video internet conference, Master Cheng Yen reminded us how precious time is and that we must honor the time remaining. In order to develop our merits and virtues we must wholeheartedly listen and contemplate and realize many principles by putting them into practice. I have the tendency to listen to a lot of Dharma and then stop instead of putting words into action with vows. My most heartfelt memory during this retreat was on Friday evening, when we all stood up and learnt how to sing and perform “One Family”. The energy and love that I felt in the room was truly magical and something I’ve never felt before. It really did feel like we were one big family. I am so blessed to have found my family and second home here. Thank you everyone for putting together such an amazing and inspiring retreat. I liked the practical experience of pure heart. I learned how to eliminate negative feelings. Thank you for hosting the retreat. This is what I need! Food for my soul. I’ve been stressed out with personal life and professional commitment. It helped me to regain my spiritual side to inner peace, love and serenity. 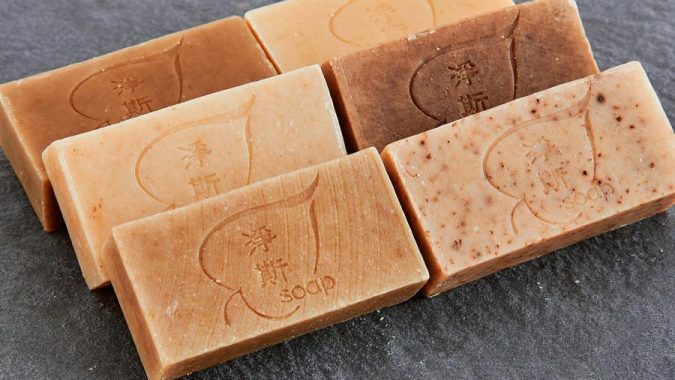 It is such a coincidence that I always mentioned to people to go back to the root to soothe the problem and purify our origin. 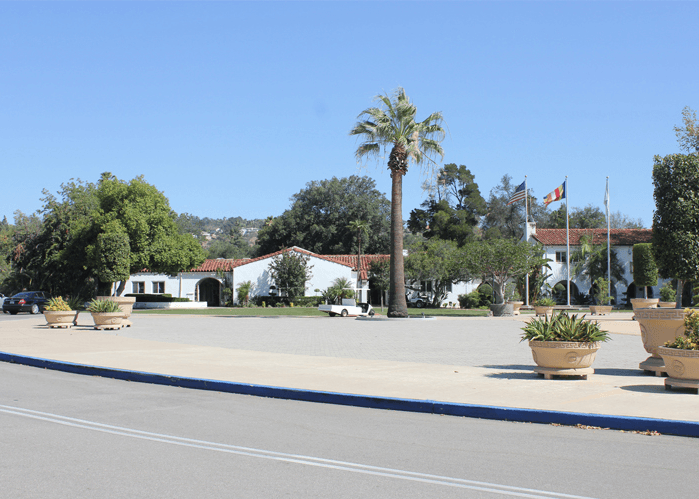 What made the event even more special is that a number of participants came to California from far away, and were thrilled to attend. I had expected to attend a Spiritual retreat and to be meeting and interacting with persons of different ethnicities. However instead I have met, interacted and become inspired with a group of Souls; offering gratitude, respect, sincerity and love. I know I am on the right path to self-improvement and self-realization: For to give service to others, one must be on the right path. 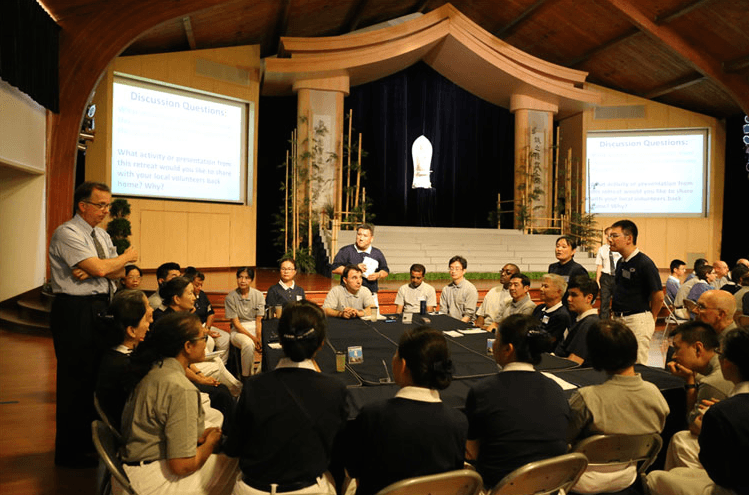 Tzu Chi USA’s 2nd annual English Spiritual Resource Retreat was a complete success, and inspired the hearts of all those involved. Everyone is already looking forward to next year!